At this stage in their lives, things change so fast it makes our heads spin! 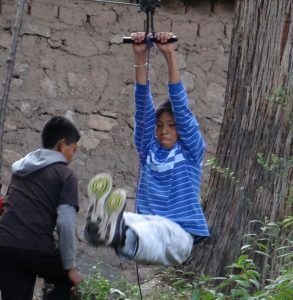 But here’s a quick snapshot of what all our Niños are up to right now. Leo is the star chef of our family. 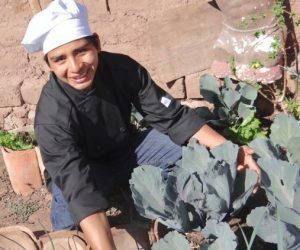 Last year he started teaching cooking classes with market tours in Urubamba and cooking for our guests. This year, Leo has moved to Cusco and started working at a sushi restaurant, where he’s learning some completely new food techniques. He’ll be returning soon to the Cooking Academy to complete his chef’s certificate. He dreams of owning his own restaurant someday. Erme is in her final year of Chemical Engineering at the university. She’s grown from a sweet girl into a competent and responsible young woman. 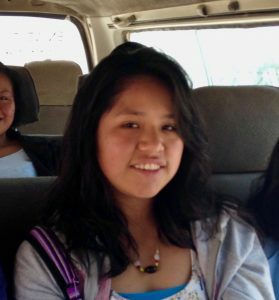 We’ve hired Ermelinda to supervise the younger kids at the casa in Urubamba on weekends, when our staff has days off. She hopes to work in the water treatment industry, which is super important in Peru as the glaciers melt and the country heads toward a water crisis. 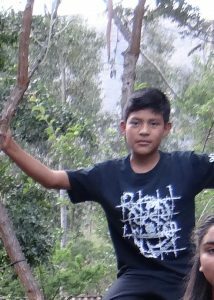 Jose Luis has a year and a half to go in his Graphic Design studies. He’s been learning to create web pages and will begin computer animation soon. 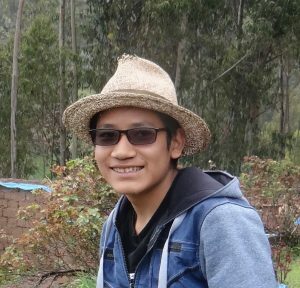 He’s also working part-time as a waiter and leads tours of Cusco for visitors. 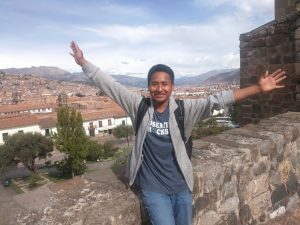 Next semester, Jose has started his practicum, editing drone videos for a local Cusco firm. He hopes to work in computer animation. Like several of the other kids, Jorge decided to leave the Casa and try things on his own for a while. 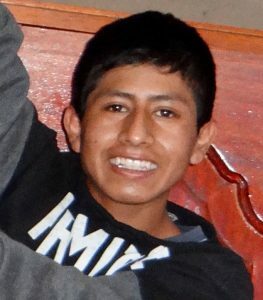 It’s been our policy to let them explore and give them another chance if they choose to return, and we’re thrilled to welcome Jorge to the Cusco apartment. He’s working in an Israeli restaurant (where he’s become a favorite of the owner) and will begin his studies in Business Administration in April. Zenobia has also been out on her own for a while, but she’s chosen to return to Niños Del Sol. 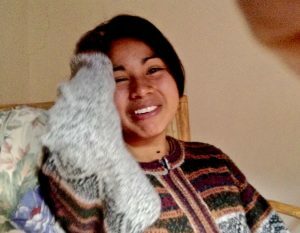 She’s recently moved into the Cusco apartment and will soon begin her studies as a pastry chef. We’re so happy to have Zenobia back in the fold. 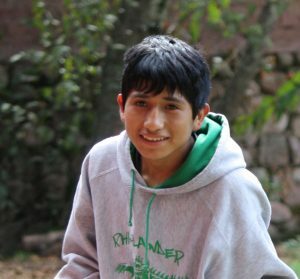 Marco is in Cusco competing with 40 other musicians for one of just three spots in the Music Program at the university. He’s interested in all styles of music, but particularly in hip hop, fusion, and Flamenco guitar. Marco is also very interested in Kundalini yoga, and he enjoys interacting with tourists and leading tours of Cusco for visitors. We’re so proud of Rayshiel. Because of her excellent attitude and English skills, Ray was hired straight out of her hospitality studies by PeruRail after she served her practicum with them. 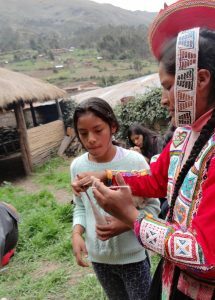 She loves her job, and loves living and working in Ollantaytambo, but she spends weekends in Cusco with her NdS siblings. Ray was recently promoted to working in the first class coach, and she is the youngest employee in the company! Doris’s cheerful personality and million-watt smile light up the Casa every day. We can see the growth in her independence and confidence after her trip to Brazil last year. Doris just completed high school and will soon decide if she is going to work, study or travel; she has expressed an interest in studying psychology. Ada is holding firm to her intention to become a veterinarian. She makes friends with animals everywhere we go, and is also drawn to babies and small children. She hopes to follow in Doris’s footsteps to Brazil this year to broaden her horizons and explore the world on her own a bit. Ada is entering her last year in high school. Sonqo is the “old soul” of the casa, a boy with wisdom and maturity beyond his years — and his own unique fashion sense as well. 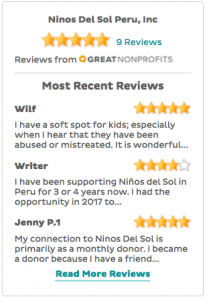 Like many of the kids, Sonqo has enjoyed getting to know his extended family in Peru during the school break. He also takes his responsibilities as an uncle very seriously, doting on Maria Flor and her baby, Gael. Luis has been studying at the Collegio UNI Academia for the past few months, and has just been admitted there as a student. The UNI is a college-prep program for high-achieving students, and Luis worked hard to be accepted. He’s a bright boy with a bright future, and we’re eager to see where he will land. He can usually be spotted spoiling the dogs with table scraps or chasing his younger brother Rusbel, and nearly always has a smile on his face. As the youngest boy, Rusbel works hard at harassing his siblings and keeping the adults on their toes. But Rusbel is also a gifted artist and a very bright student. He recently tested into the Collegio UNI Academia, a school for high-achieving students, where he’ll be attending with his brother Luis. Our baby girl is growing up; Sol had her 11th birthday in January. She’s still a bright, curious girl, at the top of her class at school. Sol has developed a serious interest in baking and is always eager to learn new things. Right now, Sol is very excited to be welcoming two of her sisters to the Casa (see below). Soledad is one of six siblings, and they’ve all kept in touch over the years. Sol came to live with us because she was too young to be placed in the Catholic orphanage where the other three girls grew up. 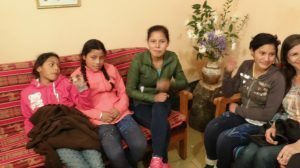 This year that facility is closing, so we’re very excited to welcome two of Sol’s sisters, Lisbet (13 and Marlit (16), to Niños Del Sol. A third sister, Lourdes (pictured in green) has already graduated, but she’s been spending time with us around the Casa and is a delightful addition to our extended family. 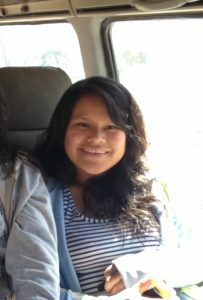 Maria Flor is 18 and living in Cusco with her baby, Gael. We still offer her emotional support and all the Niños are in love with the baby and take their roles as aunts and uncles very seriously. 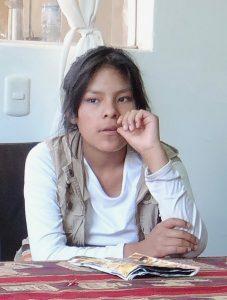 Soraida is 21 an lives in Urubamba. She works in a local restaurant and intends to go back to school to study early childhood education. If she goes back to school, we’ll help with her tuition. 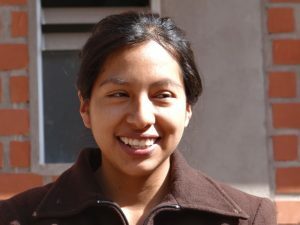 Luisa, 21, is a young mother now and lives in Yucay with her family. We still stay in touch with her and help her when we can.